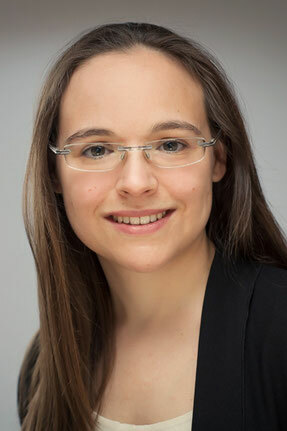 Deborah Meyer studied chemistry at ETH Zurich and complemented her studies with a Master degree in the field of nuclear magnetic resonance in 2011. Her fascination of magnetic resonance led her to join the Institute of Physical Chemistry of the University of Freiburg, where she started working in 2012 in the field of electron paramagnetic resonance. She received her Ph.D. in 2017 on light-induced states in materials of relevance in organic electronics. Due to her high attention to detail and her ability to clarify the nature of a problem she embraced IP and decided in early 2018 to start her training as a patent professional at the law firm of Michalski Hüttermann & Partner. Deborah Meyer speaks German and English as well as reasonable French. She likes to nurture her green thumb and her hobbies include the preparation and indulgence of excellent food as well as dancing.